I recently worked on a project that required formatted text (italics) to be read in from a file and placed into a textfield that was using an embedded font. "No problem," I thought, "I can just use the htmlText attribute." Well, it turns out that isn't the case. Flash Pro CC seems to have trouble handling italics/bold when compared to Flash CS6. To demonstrate this, let's take a look at a very simple .fla file. Quick tip today: I've been working mostly in AIR for a while now so I didn't realize the publish to projector option no longer exists in Flash CC. 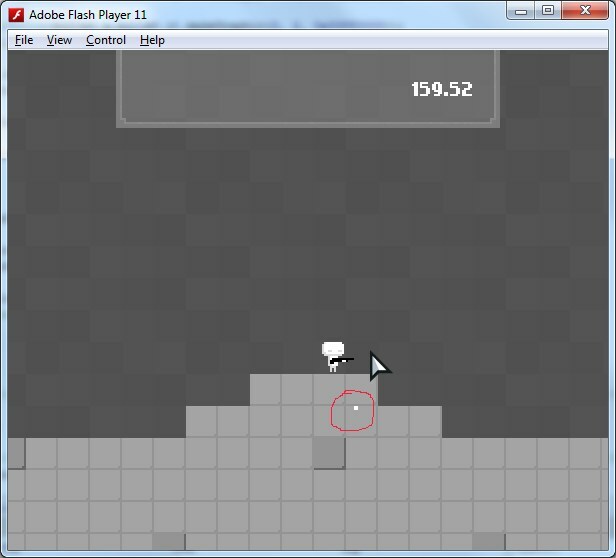 Also, the option to create a projector is disabled in stand alone versions of the more recent flash players. There is a workaround, though perhaps not ideal, you can just download an earlier version of the player and the option will be available to you. You can download various versions from Adobe here.